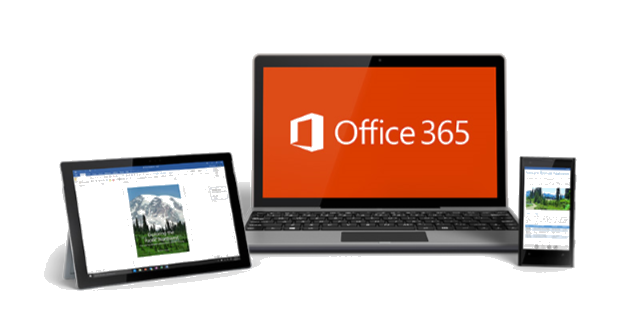 Office 365 revolutionized the way small businesses do business while bringing personal computing to a new level. I’ll try not to stand on my soapbox for too long but I can’t tell people enough about this wonderful suite of programs and their veritably endless supply of cloud storage. Bill Gates first announced Microsoft’s office suite of applications, servers and services on August 1, 1988 at COMDEX in Las Vegas. The initial release wasn’t until November 19, 1990 and that first version contained only Word, Excel and PowerPoint. Now, twenty-six years later, Microsoft has over 1.2 billion Office users worldwide. That’s one in every seven people on the planet. As of 2016, there were over 60 million Office 365 commercial subscription customers with 50,000 small business customers added each month. Additionally, there were more than 340 million downloads of Office Mobile by March 2016 compared to 100 million downloads in 2015. What is Office 365, exactly? It’s the same Office you already know and use every day but now it’s in the cloud. Microsoft’s cloud based platform of easy to use, web-enabled tools give you remote access to email, pictures, documents, contacts, calendars and the entire Office 365 suite. Microsoft gives you 24/7/365 access to your data from almost anywhere by taking services traditionally stored on a server, in your office, and putting them in the cloud. Giving you the freedom to work where and when you choose by letting you respond to important requests right away, from almost any location with a Wi-Fi or cellphone signal. Office 365 allows you to brand your business-class email address with your company name to build name recognition. This enables better connections with customers and colleagues with a range of communication tools at your fingertips. Create a password-protected portal to share large or hard to email files both inside and outside of your organization. Boost your Office 365 experience with features such as business class email, calendar and contacts with a 50GB inbox per user, document collaboration with 1TB file storage per user, unlimited online meetings, IM, audio, HD video & web conferencing, online versions of Office including Word, Excel and PowerPoint and fully installed Office apps on tablets, phones, PCs and Macs. SurePoint IT is excited to announce we’re now able to sell and package Office 365 as a Microsoft Registered Partner. The ability to bundle Office 365 with our other solutions makes it simple for our clients to increase their productivity for less without giving up familiar Microsoft applications. Interested or want more information? Call (706) 969-8895 or CLICK below to send a message to a technician TODAY! There are many advantages to consider when deciding if Office 365 is right for you and your business. Minimal up-front costs and potentially lower ongoing costs make it very attractive to many small and medium sized businesses. Designed especially for organizations without IT staff, there’s no advanced IT knowledge required, reducing IT labor costs and letting you focus on your business. These familiar Office products you already know and love along with powerful world-class enterprise security features to help protect your data. Microsoft’s Office 365 gives you two subscription choices for home and student use. The Personal plan allows you to install and use Office on one Windows or Mac PC, one tablet plus one phone, 1TB of OneDrive cloud storage and 60 Skype minutes (per month) of calling to mobile and landline phones. If one install is just not enough for your household, Microsoft also offers their very popular Home plan. The Home plan allows you to install Office on 5 PCs or 5 Macs, 5 tablets and 5 phones. The subscription includes benefits for up to 5 users with each user receiving 1TB of OneDrive cloud storage and 60 Skype minutes (per month) of calling to mobile and landline phones. Microsoft has made it simple and affordable for consumers and small businesses to utilize their world-renowned office applications. They won’t leave you staring at the monitor in silence wondering how to use their software. Microsoft has an amazing store of knowledge and support just waiting for curious minds. There are training classes, community forums, actual Microsoft technicians you can speak to and an endless amount of topics to search through in the Office Training Center knowledge base. Check out Microsoft’s plethora of office applications at Office.com or give SurePoint IT a call and schedule some time with a technician to help you decide what products will fit your needs. Let our trained staff help you get started with Office 365 and we’ll help you every step of the way. Call (706) 969-8895 or CLICK below to contact a technician TODAY.